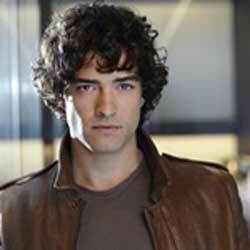 Lee Mead is best known for winning the part of Joseph in the BBC reality talent show Any Dream Will Do, but he was a professional actor prior to this competition having already played the parts of Levi and the Pharaoh in a touring production of Joseph and the Amazing Technicolor Dreamcoat. He then appeared in the ensemble and understudied the title role in Tommy, followed by the touring production of Miss Saigon before joining the West End production of The Phantom of the Opera in the chorus and understudying the role of Viscount Raoul de Chagny. It was while he was performing in The Phantom of the Opera that he auditioned for Any Dream Will Do and won a six-month contract to lead the revived production of Joseph at the Adelphi Theatre. His first three months sold out within three weeks of the booking opening and the producers extended the show's run and his contract so that he eventually remained in the show until January 2009 when Gareth Gates took over. Following his triumph in the West End, Mead decided to do some straight theatre and 2010 and starred in a touring revival of Lord Arthur Savile's Crime by Oscar Wilde, alongside established performers including Gary Wilmot, Kate O'Mara, David Ross and Derren Nesbitt. Since winning the part of Joseph Lee really hasn’t looked back releasing a couple of albums in 2009 and did a tour of Lee Mead in Concert. Lee Mead has most recently been playing Fiyero in the London production of Wicked! and Emmett in Olivier award winning Legally Blonde the Musical at the Savoy Theatre. He did a concert tour of Japan at the ebd if last year and performed Lee Mead’s Merry Christmas Concert at the Barbican Theatre.